Here is a golden opportunity for the state students to fill MP Scholarship Online Form 2019. 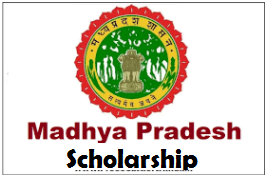 The state government of Madhya Pradesh is the authorizing body to provide financial assistance to the candidates eligible to avail supportive award to further their studies in Degree, Diploma, Certificate, and Doctorate programmes. Those interested in filling MP Scholarship Application Form 2019, need to go through all the details provided in the following. To start applying, applicants must ensure whether they are registered already or not. Check here to know what MP Scholarship Application Last Date 2019 is and the deadline to apply for the same. Various benefit schemes are provided to the meritorious students, to the ones belonging to Economically Weaker Sections, and reserved categories. Applicants from SC, ST, OBC, EWS, and Minority categories should proceed to apply as instructed and informed in the details as follows. Minimum Education: Class 08th to Bachelor/Master Degree/ or Ph.D. (Pursuing)/ only Regular Courses. Date to Apply: Throughout the year. Please go through the information given here and start registering with the help of key requirements. Eligibility and applying conditions are of utmost significance and must be fulfilled by the hopefuls. This monetary scheme is rewarded to the seekers belonging to SC and ST must have family’s annual income is up to 2.5 Lakhs are eligible to entertain 100% while whose family income is between 2.5 Lakhs and 6.0 Lakhs, they will be availing 50% of the scholarship award. Those from OBC category will be able to receive 100% of scholarship with a family’s income Rs. 75000/- (mandatorily studying in a central or state government institution) while 50% scholarship benefit will be entertained by those with family’s income of Rs. 100000/- (mandatorily studying in a central government institution). This benefit amount is awarded to the students hailing from Economically Weaker Sections, SC, and ST categories from the local regions of Madhya Pradesh. Only girl applicants are eligible to apply for the financial assistance scheme and must be residing in rural areas of the state. This assistance scheme is targeted to Handicapped or Differently Abled and Persons with Disabilities. Please note that 40% of scholarships are reserved for Girls candidates. Attested Documents and Required Affidavits. After reaching the homepage, reach the downward section and look for the list of schemes and the MP Scholarship Online form registration process. Choose the appropriate and most suitable scheme according to your eligibility and other conditions. Complete your registration in a proper format and save the details along with entered contact details. Generate a registration slip of the same and keep it secure for the future uses. Those looking to check MP Scholarship Online Form Status need not apply separately. Please use the previous login Id and password and recheck the status of your applications. More information is accessible via this authenticated link.